All over Amsterdam you can find a ambient clubs and bar tucked away in an old traditional factory, former office building or even old theatres. Anyone who enjoys going out for a drink or nightlife in general will easily find something to do at any time in this colourful vibrant city. For the most up-to-date information about what’s going on in Amsterdam. Please look over our website and social media. Best Belgian brews. 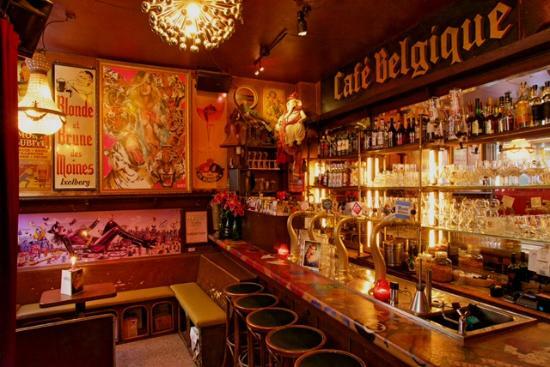 Just off Dam Square, Café Belgique is one of the smallest bars in Amsterdam, specializing in Belgian brews, with eight Belgian draught beers and over 30 bottled varieties. Despite, or perhaps because of, its size, Café Belgique has a definite charm and a reputation for being the haunt of many local artists and DJs. The décor is noteworthy for its visually arresting style which combines modern-day graffiti art with a more traditional Dutch style dating back to the 1700s. There is often live music on offer and you can check out the list of Belgian brews they serve on their website. Gravenstraat 2. The windmill brewery. This pub offers a unique spot to down a few beers. 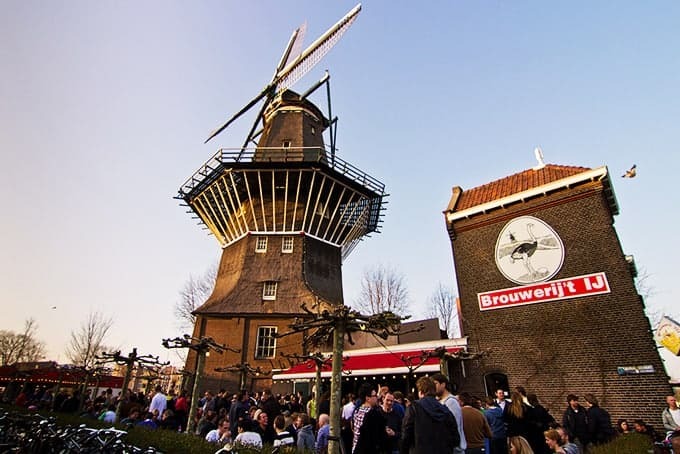 With its trademark thatched windmill towering over the terrace Brouwerij ‘t IJ features affordable prices, and a selection of five high-percentage beers. The Columbus ale is definitely the strongest brew on offer and their Ijwit brew was recently rated as the best white beer in the Netherlands by a Dutch television station. They also sell a very special organic sheep’s cheese known as skeapsrond which is produced by the Dikhoeve farm in Ransdorp, a little village outside of Amsterdam. Strangelty, the cheese comes from sheep that are fed malt dregs from the brewery’s brewing process. Brouwerij ‘t IJ, Funenkade 7. High tea cocktail hour. 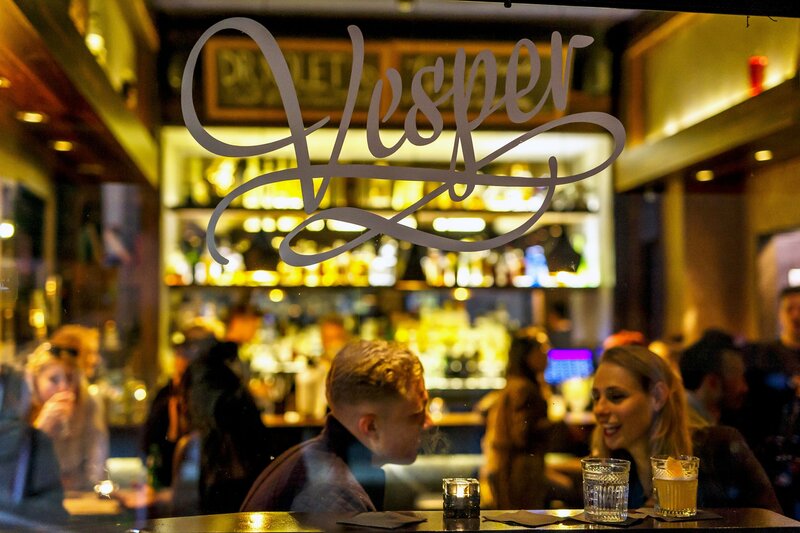 Evoking a definite Mad Men vibe, Vesper bar, just off Haarlemmerstraat is an elegant establishment. Popular with expats and the after-work crowd, it offers a mixture of elements both urbane and kitsch with James Bond memorabilia alongside pop art prints and fine liqueurs. 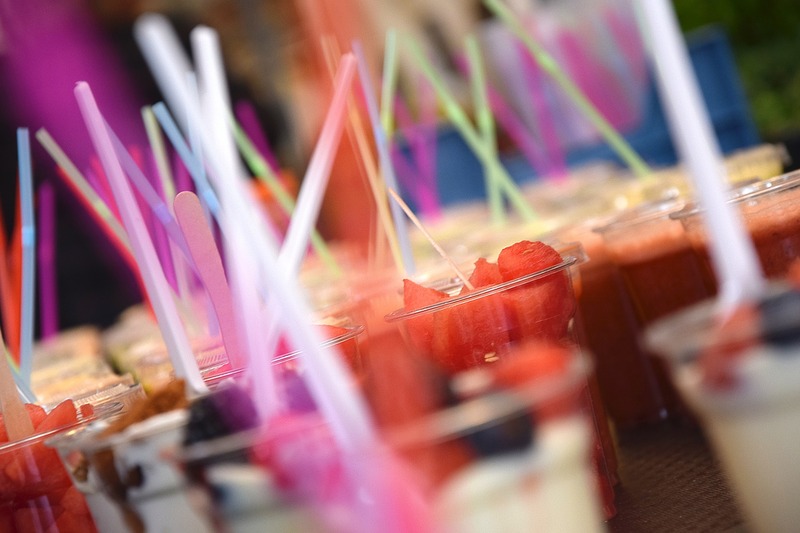 The highlight is undoubtedly the “high tea cocktail” hour, which is a decidedly alcoholic twist on traditional high tea, complete with designer cakes and cocktails served in teapots! The high tea experience can be booked in advance for parties of eight or more. Vesper bar, Vinkenstraat 57. Located just around the corner from Leidseplein, this former church holds one of Amsterdam’scultural epicentres. You will find all sorts of concerts, festivals, parties, and the like in this impressive complex that holds two areas: the big concert hall, and a smaller room. You can decide to have a dance or enjoy your favourite artist from the standing area in front of the stage or sit down and enjoy everything from above as there are two floors of surrounding terraces that have a Shakespeare-esque theme. 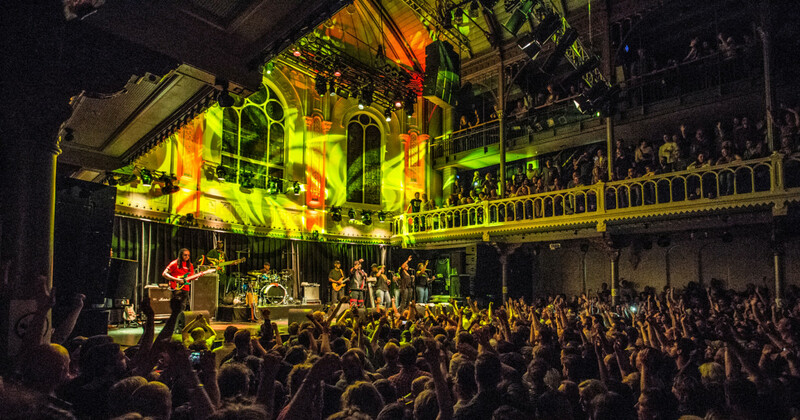 Paradiso, Weteringschans 6. 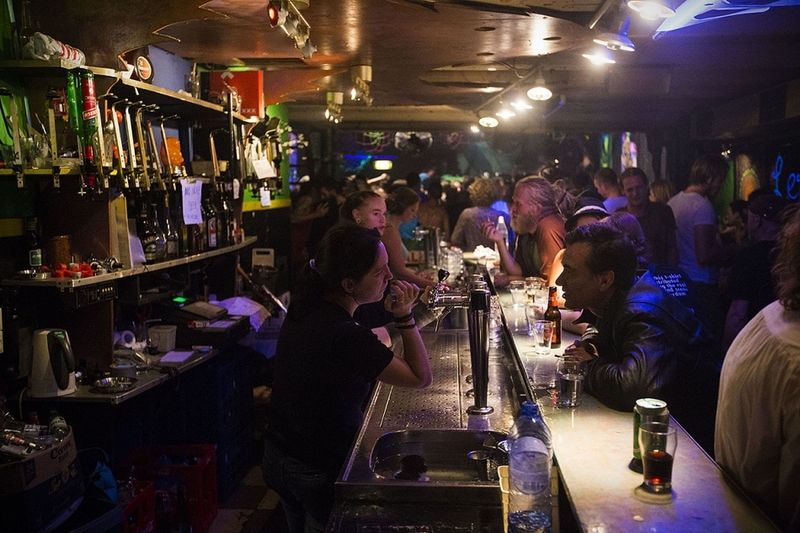 Although not directly visible from the street, this nightclub can be entered from a side street off of Leidseplein and is a great choice to go to if you wish to avoid the bigger crowds in the packed pubs at the aforementioned city square. There’s always a nice vibe hanging around in this place and they organise a wide variety of parties with different music styles. 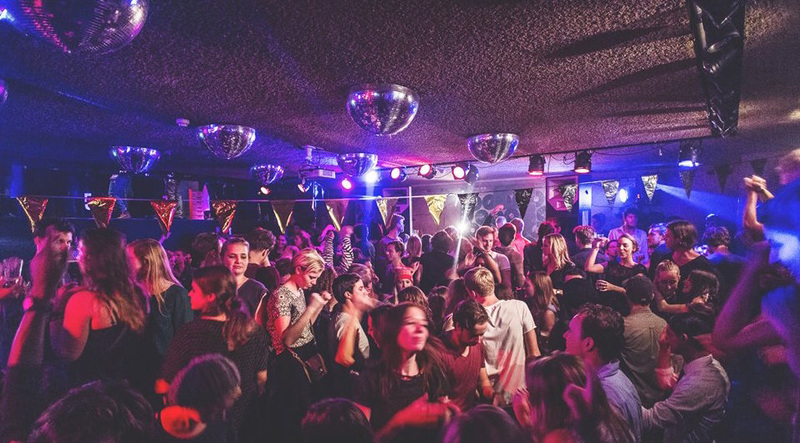 Club Up, Korte Leidsedwarsstraat 26. Also located at the Leidseplein area, this club is for anyone who likes to hang out with the fabulously good looking socialites, Dutch celebrities and supermodels. If you’re not with a girl, don’t even think about joining the queue to get in. 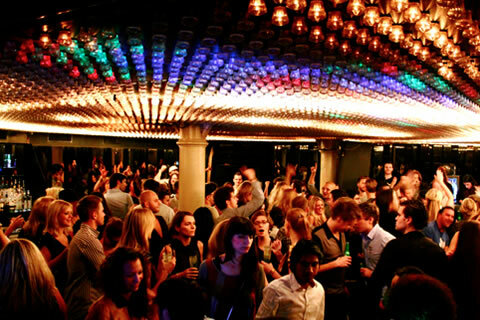 This bar is known in Holland as a luxurious albeit superficial establishment. The music makes up for a lot though with a mix of hiphop and club. Jimmy Woo, Korte Leidsedwarsstraat 18. All soul and R’nB lovers who prefer the soulful, urban style will enjoy a visit here. It offers special soul nights that are among the best nights out to be had in the city with a sensual vibe. You find lots of hip-shaking funk lovers on the dance floor. Bitterzoet, Spuistraat 2. Set in an old warehouse alongside a canal on the western side of the Canal District. 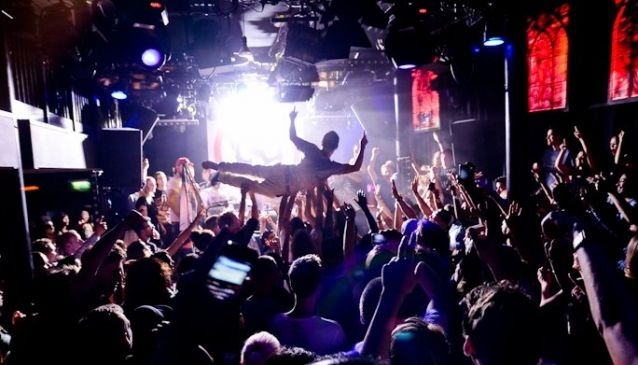 This spectacular nightclub attracts Amsterdam’s expat crowd who love to shake their thang on the two dance floors spread over two levels. For those who like a somewhat underground atmosphere, this place is definitely worth a visit. Prices of drinks are low and they have different music styles every night. Check out their facebook page ‘Korsakoffamsterdam’ to view their latest schedule of events. Lijnbaansgracht 161. Located at the vibrant Rembrandtplein, this place is known throughout the world as one of the epicentres of Dutch electronic music. You will find famous DJ’s from all over the world putting on a showcase that will definitely get you dancing. During the nineties this place set the standard for the Dutch house music culture. Escape, Rembrandtplein 11.